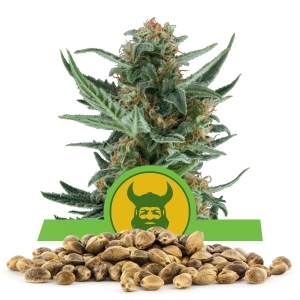 Reminiscent of the Haze varieties that have become so popular in Amsterdam and throughout the rest of the world, we've worked with some of the best strains to create a quick and easy to grow haze variety. 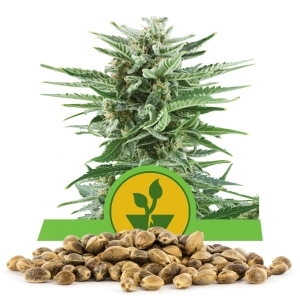 By crossing an Amnesia Haze with a popular Skunk strain, and then crossing them with our automatically flowering Ruderalis strain, we've combined the best of both worlds for commercial growers. 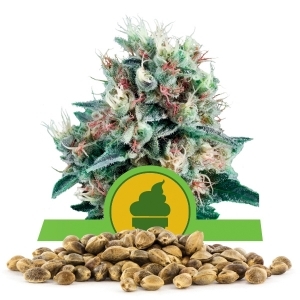 The Royal Haze Automatic provides growers with all of the ease and speed of an autoflowering plant, while keeping the original integrity of the Haze varieties fully in tact. 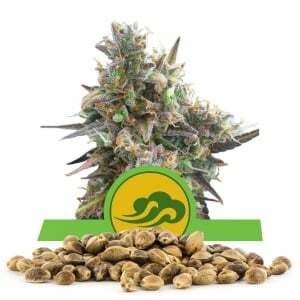 Our strain provides commercial growers with a plant that will produce high quality buds in an astonishingly short amount of time when comparing the growth period to that of the original haze varieties we used. 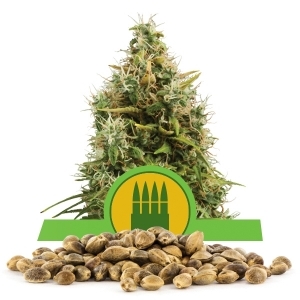 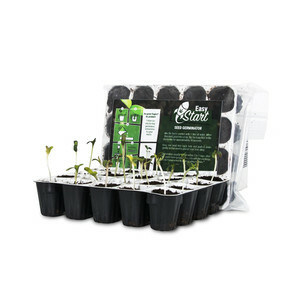 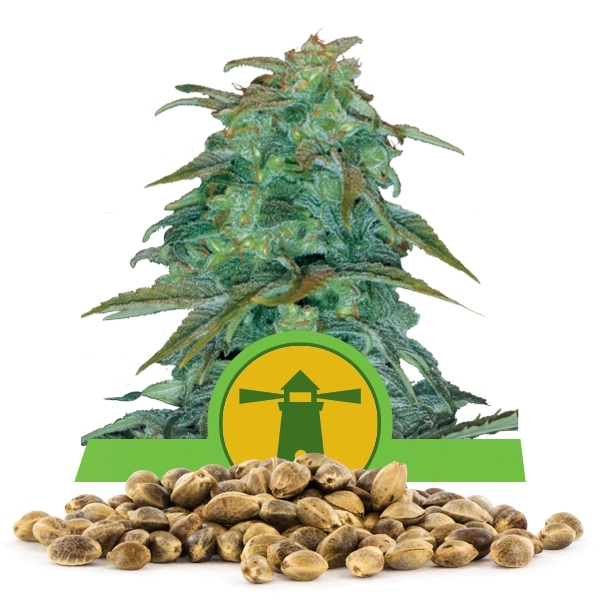 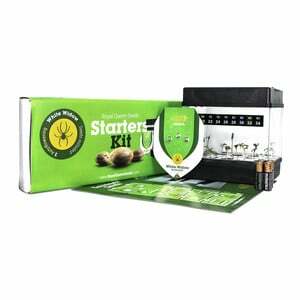 With plants that can grow up to 150 cm tall outdoors and which will each produce up to 180 grams when dried, we provide seeds that will work hard to generate the buds so you don't have to. The seeds do very well when grown indoors, as well, reaching 85 cm and yielding up to 350 grams per square meter. 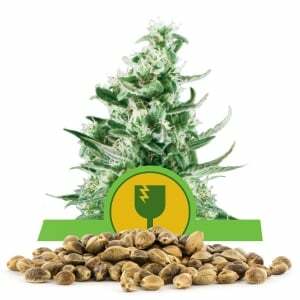 The autoflowering varieties are not only less finicky to deal with around the flowering stage, but they're also much more sturdy and adaptable when it comes to weathering and climate, making them accessible and able to be successfully raised by growers of all levels and in a wider range of regions than ever before. 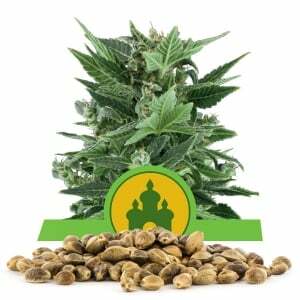 When it comes to having success as a professional/commercial grower, there are a lot of factors you will be considering. 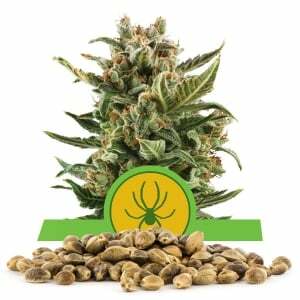 You'll consider the size, yield, and quality of the weed produced, but you should also take into consideration the demand for certain strains. 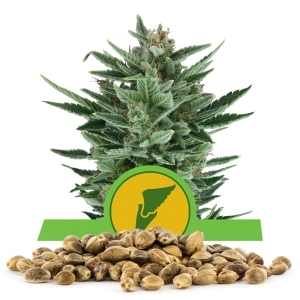 Its popularity in Amsterdam and throughout many other regions of the world speak to the market for this strain, and the quality that we produce will certainly keep both our and your customers satisfied. 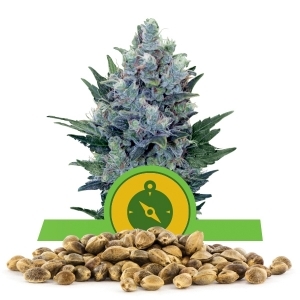 With a 15% level of THC, and a fresh, cerebral high that most users find very uplifting, you'll be thankful that the plants grow so quickly and easily, because you'll have more people requesting it than ever before.